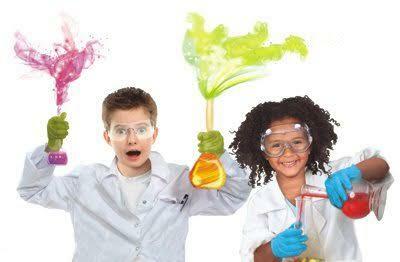 In Mad Science after-school programs, children engage in exciting hands-on activities, watch spectacular demonstrations, participate in inquiry-based discussions and bring home make-and-take projects they have made themselves! Model rockets, periscopes, Mad Science putty, and more! Mad Science and Intellibricks do not meet this week due to Missoula Children’s Theatre. Both after school Science programs will resume the following week. In these exciting hands-on classes, you will play engineer, chemist and stunt pilot! You’ll be shocked by what you learn about electricity, be blown away by experiments with air pressure, and get swept away in the excitement of working with water waves! Classes open to grades First, Second and Third! © 2014 St. Ignatius Loyola Parish, All rights reserved. Submit an online order here. There will be a 3% convenience fee for online purchases. Or submit the attached form to the school office and pay by check. Sweatshirts will be delivered to students in their classrooms. St. Ignatius Parish School is accredited by the Western Catholic Educational Association (WCEA) and is co-accredited by the Western Association of Schools and Colleges (WASC). On behalf of our entire staff, we welcome you to St. Ignatius Parish School. At St. Ignatius Parish School, you are part of a close knit community, who live their faith, and see the children thrive under the leadership of our pastor, Father Mike Moynahan. Anyone who would like to volunteer their time at school, on a field trip, or any activity that involves our students, MUST complete an on line course provided by Catholic Mutual Group. THIS TRAINING IS MANDATED AND A CERTIFICATE MUST BE PRESENTED TO THE SCHOOL OFFICE BEFORE YOU MAY VOLUNTEER TO PARTICIPATE IN ANY SCHOOL EVENTS/FUNCTIONS WHERE CHILDREN ARE PRESENT. This training must be renewed EVERY 3 years.